Your office, business address and meetings venue in an exceptional work environment. Discover a flexible work environment designed to suit your needs. Work from downtown Brussels and pay only for the time here. 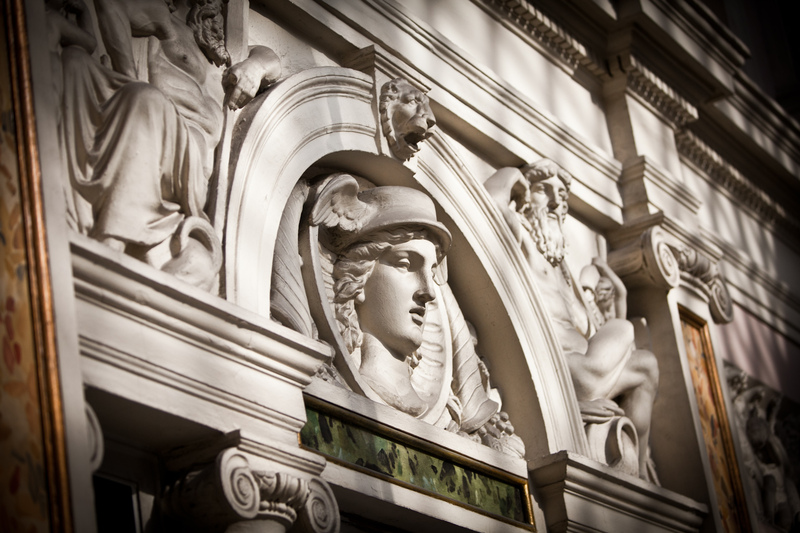 A prestigious address on your business card, your meetings in a great historical venue. 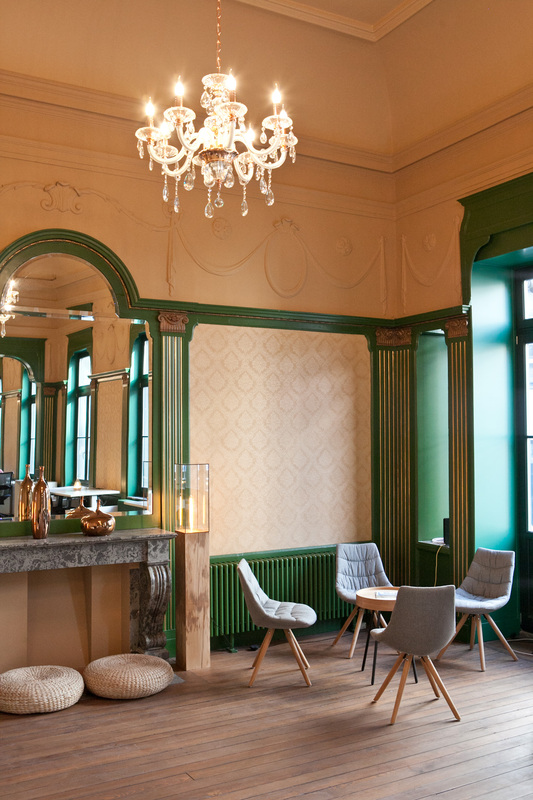 Organise your conventions, launch presentations, social drinks, seminars, conferences in a professional meeting and event facility in the historical centre of Brussels. A stress-free recipe for a successful and impactful event. Be in the right place to meet the right people and take your business to the next level. 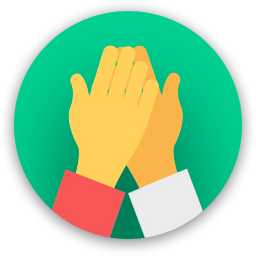 Connect with your peers, share ideas and get inspired: workshops, presentations, debates, conferences, networking events with qualified experts, advisors, mentors to help you boost your activity. Enjoy a professional and inspiring environment decorated with style and elegance. Throughout the year we exhibit and showcase unique artwork from talented artists and designers. Are you a member of Coworking Les Galeries? Coworking les galeries is a fantastic and pleasant place out of time to meet and exchange with interesting people and take part at quality workshops. It's always a pleasure for me to cross the doors and spent Time in this warm place. I feel at home in a peacefull atmosphere, the lovely cafétéria and tastefully decorated aller around the area. I love the concept of coworking les galeries wich promotes and encourages entrepreneurship and allows to organize different kind of events always with professionalism and respecting their ethic and values. I would warmly recommend anyone to experiment coworking les galery without any hesitations. 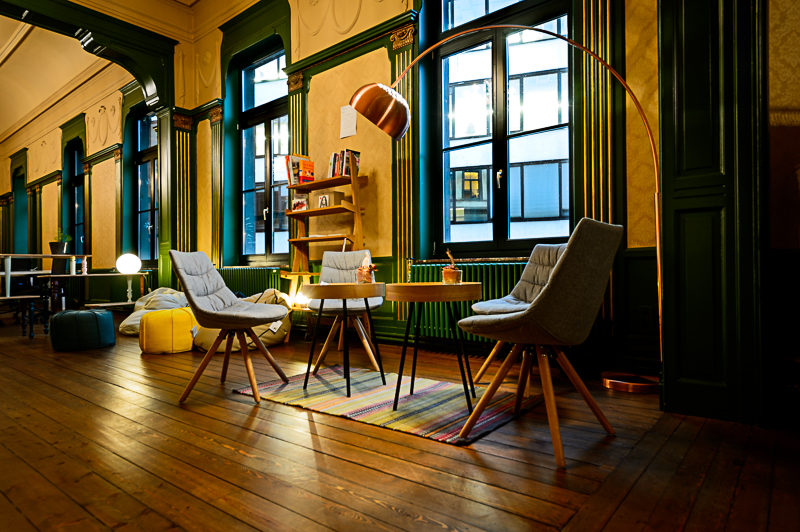 "Best co working space in Brussels"
This is more than a co working space, but a place where one can work in a listed historical building, be surrounded by art and also benefit from the countless events and wellbeing services held at the event space. The area is perfect since it is close to public transport and located close to many businesses in the area. Countless food options too! There is also alot of flexibility in payment packages suited to everyone's needs. The owners of the space make it very flexible for the co worker and are always open to suggestions if we have any. I feel at home there! Highly interesting people give highly interesting workshops there. But aside from that there is space and creativity enough to quietly do your own thing. 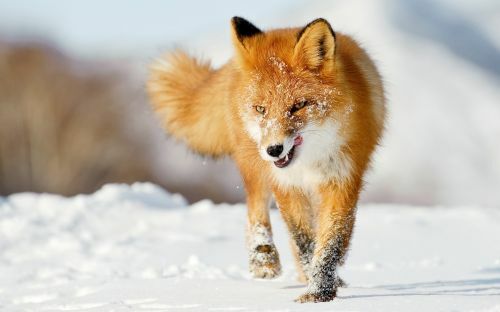 It's beautiful, well equipped and in the center of the center and yet private. "Awesome place in the heart of Brussels." One of the most beautiful coworking that I have ever seen. It is located in the heart of Brussels and is near the railway and the subway stations. The owner is really friendly and helpful. It is really well decorated and the gallery is stunning. The wifi works perfectly at any place of the coworking. And if you like coffee, you should definitely try their coffee, it is really good. "Amazing site in the heart of Brussels"
I spent two days workshop in Co-working Les Galeries and I was impressed by this incredible venue. 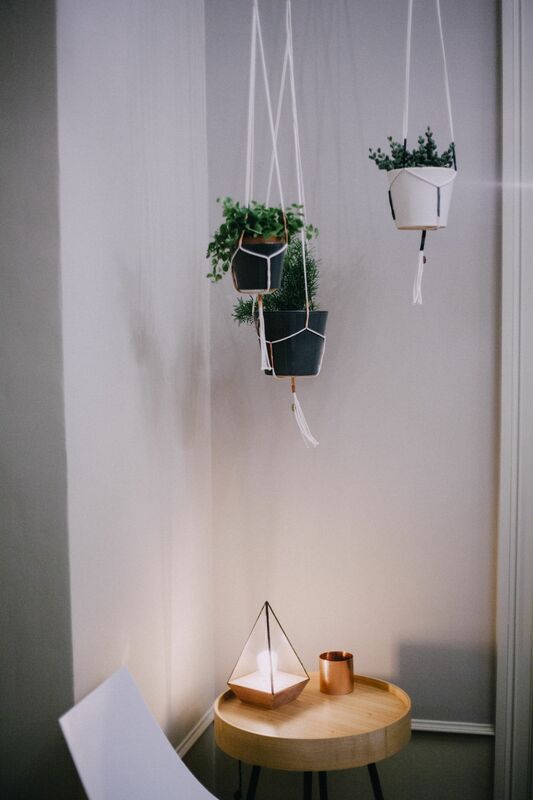 Rooms decorated with great taste, cosy atmosphere, a lot of charm. Extremely easy to access. I strongly recommend it. "A perfect place can boost creativity"
I’ve been there twice. Coworking Les Galeries never disappointed me. It’s a place where you can feel at home, comfortable but concentrate. A perfect place for any kind of events, workshops and co-working. "Great place in the heart of Brussels"
Beautiful place in a great location. I always get a thrill when I walk in/out and realize I'm in the royal galleries! The space has amazing views, nice people, good coffee and fast internet. It's also easily accessible by public transportation. The owner is super friendly and helpful! It's always a joy to be there. Great place to work, meet people and be inspired. 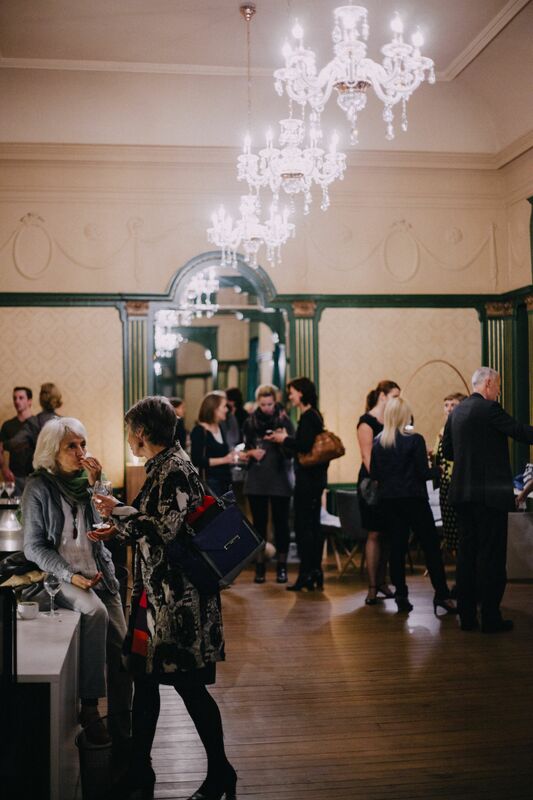 I have also used the space as an event venue and it was ideal. An immediate WOW factor by everyone who came in and great resources for us to host our event. I have seen quite a few co working spaces in Brussels and this one is my favourite for its combination of facilities, location and atmosphere. "How to ally work with historical environment, great people and top services "
"Most beautiful coworking space ever"
I have visited different coworking places all over the world and this is definitely the most beautiful. The historic venue itself is gorgeous and it is very well decorated, the art gallery is inspiring and helps you get into a creative mood. It's also perfectly located right in the center of Brussels just next to public transportation. The staff is very friendly, there are many social events organised to get to know your co-workers, the coffee is great and the wifi works perfectly! 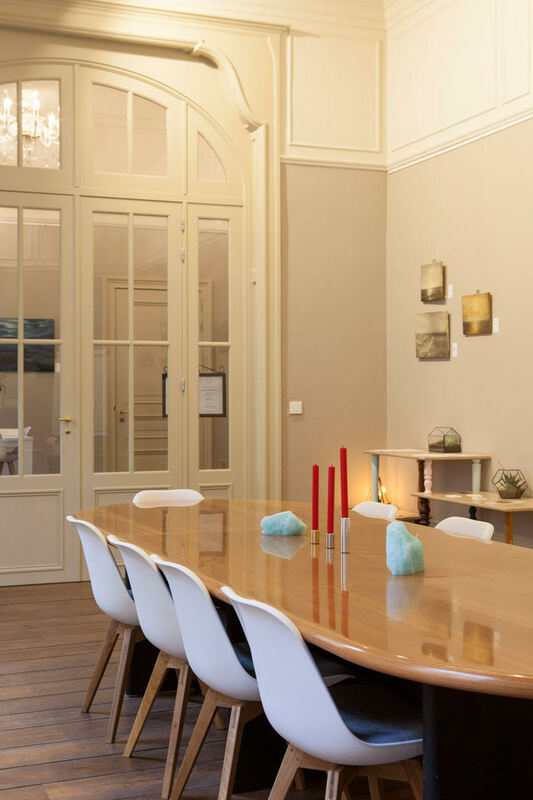 "Exceptional site in brussel city center"
"Be Inspired and Productive "
Coworking Les Galeries offers all that you could want in a coworking space, a welcoming atmosphere, beautiful bright interiors, calm respectful work environment and a real sense of community. It is centrally located in the heart of Brussels and boasts wonderful views of the historic Les Galeries arcade. "Lovely place in great location"
WIFI worked fine through out the day, location is great with easy access to breakfast, lunch, dinner. Nice interior, lots of space, great community, everything you need is in the kitchen. very comfy. highly recommended! "Elegant, dynamic space in the heart of Brussels"
Coworking les Galeries is a one-of-a-kind coworking space situated above a historic shopping arcade in the center of Brussels. It's an elegant, yet welcoming place for work, meetings, getting to know colleagues, discovering art, and much more. Easy to get to via public transportation, entering the space itself transports you into another era of refinement and attention to detail, inspiring and energizing your working days. Staff is caring and attentive, animating the place with warmth and creativity. "Elegant and sophisticate, all in a familiar atmosphere." Best place to work and meet great people. Wonderful location in the center of Bruxelles, easy to concentrate, keep motivated and improve your activity. Totally recommend it! "Very Brussels with good atmosphere"
Amazing place. Very Brussels. Good location in the city centre, close to one of Europe's most beautiful squares - Grand Place and Central Station. All that is needed for organizing meetings and meeting creative, energetic people. This is my office away from my office. The high ceilings, the location and ambiance are unsurpassable. While it is in the center of the bustle of Brussels it is also a little haven. Perfect space for large groups also and have lead groups of 30 or more no problem. Wifi, toilets, coffee, all rock solid! "Unbelievable Location and Great Community"
Coworking les Galeries is a great place to work, to conduct professional meetings and to meet great people. Thanks to Valérie and her links to the art community, the meeting spaces are really alive. The working space is what you would expect of a ballroom in a fairy tail; which can be the case in the early morning. The terrace is a nice place to have a sunny break, and I warmly recommend the coffee mix. It is really a pleasure to start a working day here, and you have all the facilities nearby after your workday. In a nutshell, it seems Coworking les Galeries is a combination of what makes Brussels a great place for working and living. 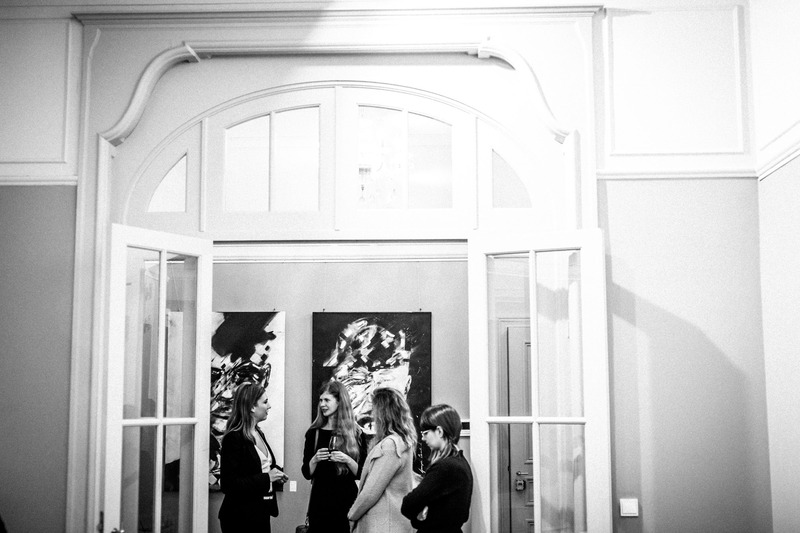 "Amazing place to work, meet interesting people and enjoy art and events"
I have been a member at Coworking Les Galeries for more than a year now and I couldn't be happier with my workplace in the heart of Brussels. The location in Brussel's most iconic shopping arcade is easily accessible by public transport and the space itself is simply stunning. 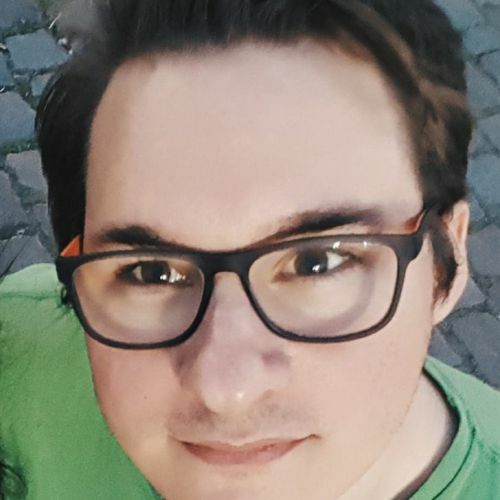 I love the international atmosphere and being able to meet and connect with many interesting and passionate people. 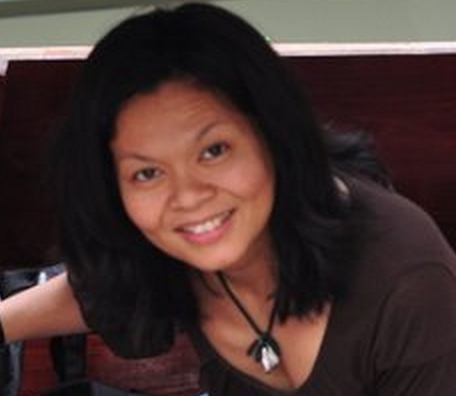 The owner, Valerie Kinoo, makes sure that everyone feels at home and is always there to help if needed. 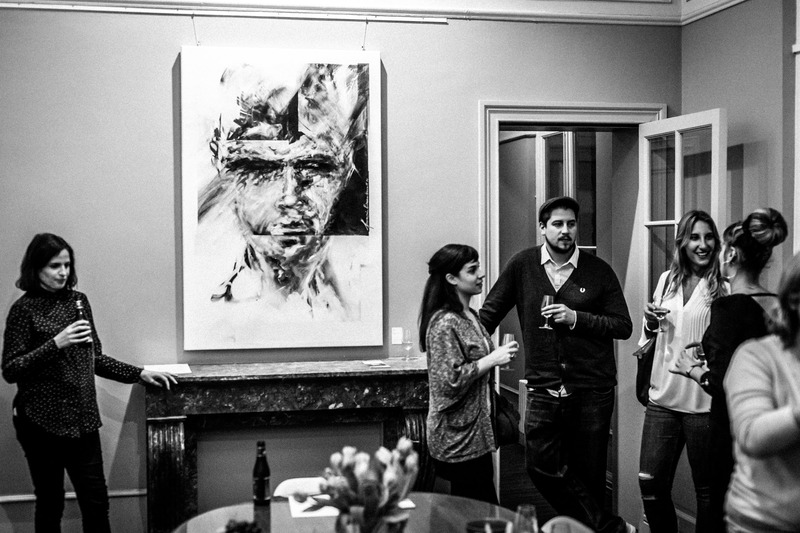 I was lucky enough to host my first exhibition at Coworking Les Galeries which was an amazing experience! Highly recommended for work, fun, friends and art. "Beautiful space right in the heart of Brussels"
This is a unique co working space. I honestly can't imagine anywhere else like it in the world! All the services and facilities that you expect and require to run your business, but located in an historic and beautiful building. Seconds away from the stunning Grand Place, fab bars and restaurants and the shopping district. Combine all of this with a great community, loads of innovative and fun events and a fantastic host, no wonder it's my second home! "Beautiful, professional, incredibly well located"
Right in the heart of Brussels, a beautiful sanctuary where you can get sh*t done. 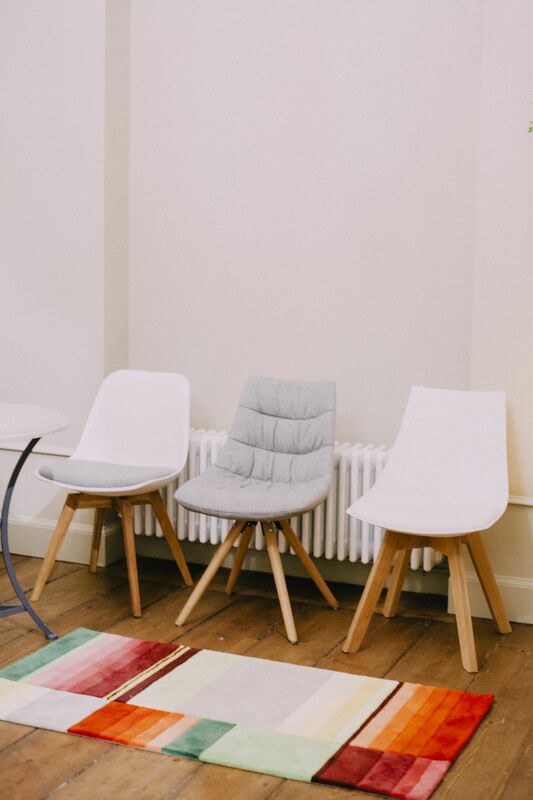 Run very professionally and with loving care, Coworking Les Galeries is the perfect spot to work from, whether it's every day of the week, just for a few hours a month, or only to set up a meeting in the spacious, masterfully decorated room. If you can't tell the difference between a great co-working space and a delightful art gallery, that's because it's their goal. Great events for the community, great coffee, great connectivity, great people. What more do you need? "The luxury of working at the most prestigious historic location in Brussels "
As a commuter, I travel to Brussels by train. Coworking Les Galeries is at 4 minutes walking distance from the Central Station. You are immediately transported to the glamour of the historic Galerie du Roi with its crystal roof and prestigious shops. The building has kept its fin de siècle grandeur: high ceilings, original woodwork, impressive space. The community is convivial, international and open. The owner, Valérie Kinnoo, will make you feel welcome and create opportunities to meet interesting people. The combination of co-working space with an Art Gallery means that you get the chance to meet artists and designers and get invited to exhibitions. I love the light that comes from the Gallery's transparent roof, this place is very inspiring. You find everything you need in the kitchen and the expresso coffee and selection of teas is excellent. I also book the space for individual client meetings and for workshops and events. The organisation is impeccable. If you are looking to impress your guests, this is the place to be. "Beautiful coworking space, great team, good atmosphere"
It is genuinely central Brussels, in one of the oldest shopping arcades in the world and the architecture is immense. Gorgeous place. Valerie often does art exhibitions too, so you also get a good dose of culture. Decent rates for coworking as well and home to Europe's best tech publication also (tech.eu). Highly recommend the place. "Fabulous and chic place near the Main Square of Brussels "
Located near the central station, it's nice inside and quiet if you need concentration. The owner is super nice too! I wish all co-working places were like this. Sophisticated, charming and professional. Their high-level events are always well organised in this elegant and friendly atmosphere. Especially the monthly Art, Wine and Fun events I can warmly recommend. You'll learn to paint as well as discover new wonderful wines. Great space in general for networking. And the owner is one of a kind. She takes amazing care of the place and the people. A passionate entrepreneur with a feeling for service in her DNA. What I love most about going to Les Galeries is the serene and inspiring atmosphere - the amazing views, the elegant atmosphere, and the owner's love of all things creative and exciting. It's exactly the right environment for me to work and meet people in. I feel it's what brings us all here - either to work or to attend events and just enjoy the company. "Great location and good working environment"
We have organised some events at this co-working space and it has been amazing. Facilities were good, team was very helpful, and the elegant interior and spacious rooms very conducive to creating an effective work experience. The location is great too, and very accessible by both public transport and car, with parking garages a stone's throw away. I highly recommend this space! "Great place to work and to get inspired!" 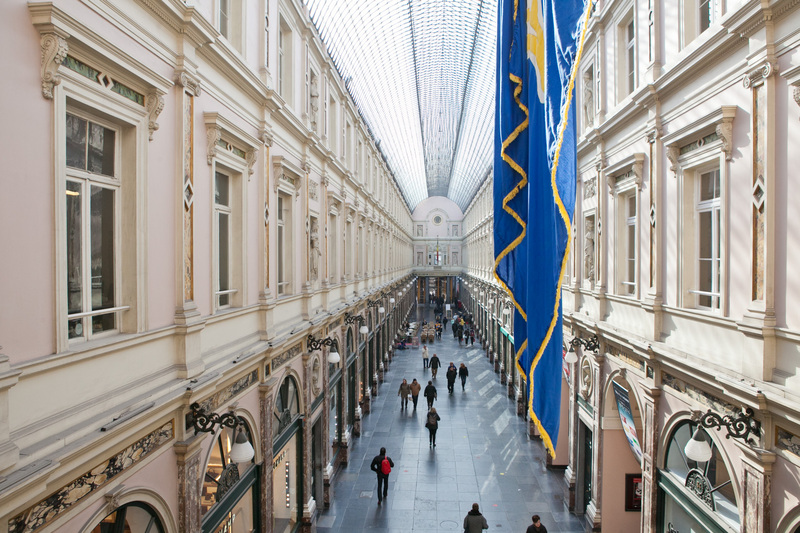 Les Galeries offers a superb location near the central station of Brussels inside the magnificent Royal Galleries. The office space is just located on the second floor at the beginning of the building, so as an extra you'll enjoy an exclusive view to the beautiful Galleries. The place has everything what a freelancer needs, and the artistic decor with high ceilings will certainly get you in a more creative mood. Valerie is great as a coworking host and you'll get to meet interesting people with various backgrounds. Some cool events are organized each week, like yoga, wine tasting, cultural Fridays, as a coworking member you can join for free. 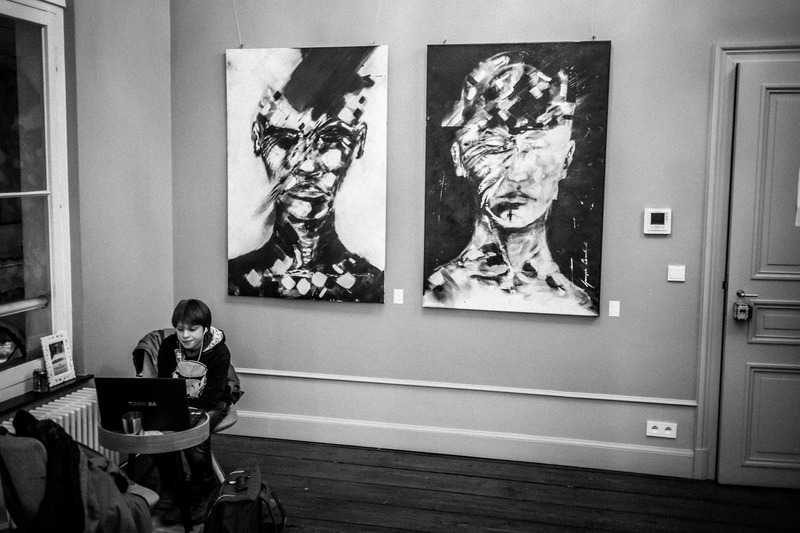 Coworking Les Galeries is drastically different from other coworking spaces in Brussels. Charming, woody & 1 minute away from Brussels Central Station. There's always an event going on there during weekdays, be it an art exhibit or a business talk. I strongly recommend it. A community with a great synergy between the creative entrepreneurs. Attention to detail and dedication to service. The organisation of out-of-the-box events makes this co-working space a one of a kind community. "Oasis in the heart of Brussels"
The location could not be more perfect. Located in one of the most exclusive parts of Brussels and conveniently close to the Bruxelles Central railway station. The coworking space has a really friendly atmosphere, and there is never a shortage of events to get to know each other. "Great place in the historical Brussels"
"There is only one place like that in Brussels." I organise every Wednesday classes about Luxury Management with my school MODESIGN ACADEMY and it is the perfect place to do it : central, historical, beautifull. It is a luxurious place to work and to receive guests. You feel at home althought it is much better than your home! My favorite bookshop - Tropisme - is at the next corner inside the galeries. You're in central Brussels, ask the guys where to get great food and drink. Also, enjoy the free coffee that comes from a Belgian start-up. Public transport: To get a bit lost and have a wander around, walk there through the cobbled streets from 'Bourse' rather than from 'de Brouckere' if you're coming from that side - much more fun! There are cool cafes around the area, and the Galeries provide such an elegant old-world ambience. 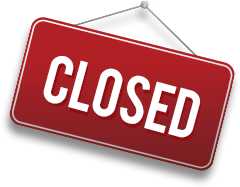 Coworking Les Galeries will be in touch with you soon to confirm. Coworking Les Galeries has received your membership enquiry and will be in touch with you soon.